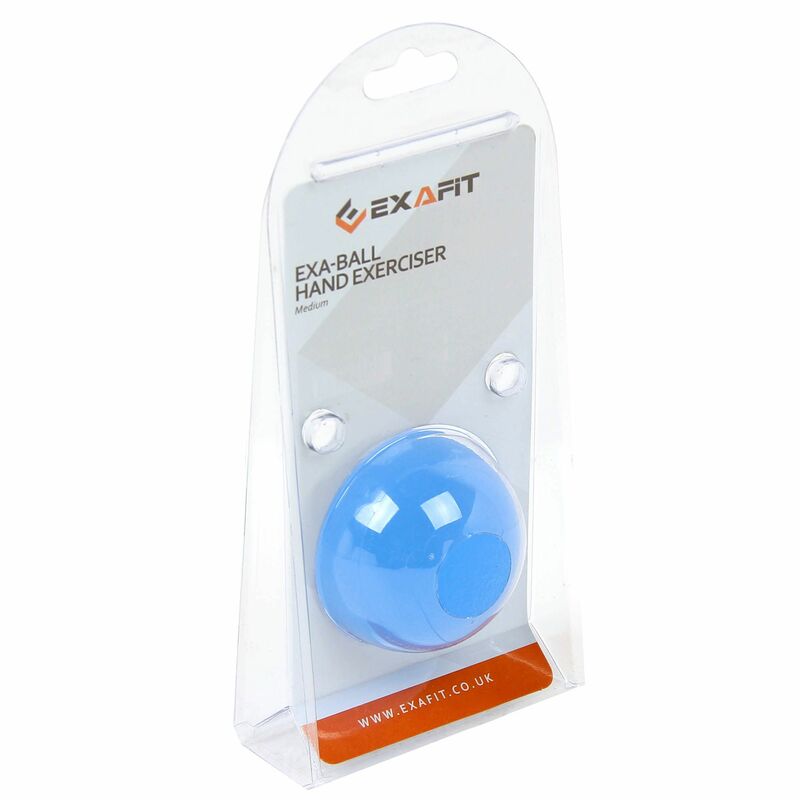 The ExaFit medium hand exerciser has a spherical shape to perfectly fit in your palm and has been designed to help you improve grip and forearm strength for strength training and weight lifting. 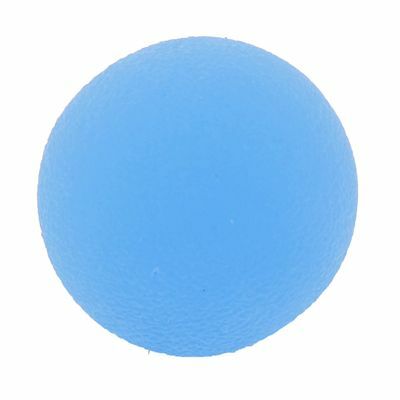 It is suitable for rehabilitation sessions and can be used as a stress relief tool. The hand exerciser comes in a blue colour. for submitting product information about ExaFit Medium Hand Exerciser We aim to answer all questions within 2-3 days. for submitting product information about ExaFit Medium Hand Exerciser. We aim to answer all questions within 2-3 days. If you provided your name and email address, we will email you as soon as the answer is published. 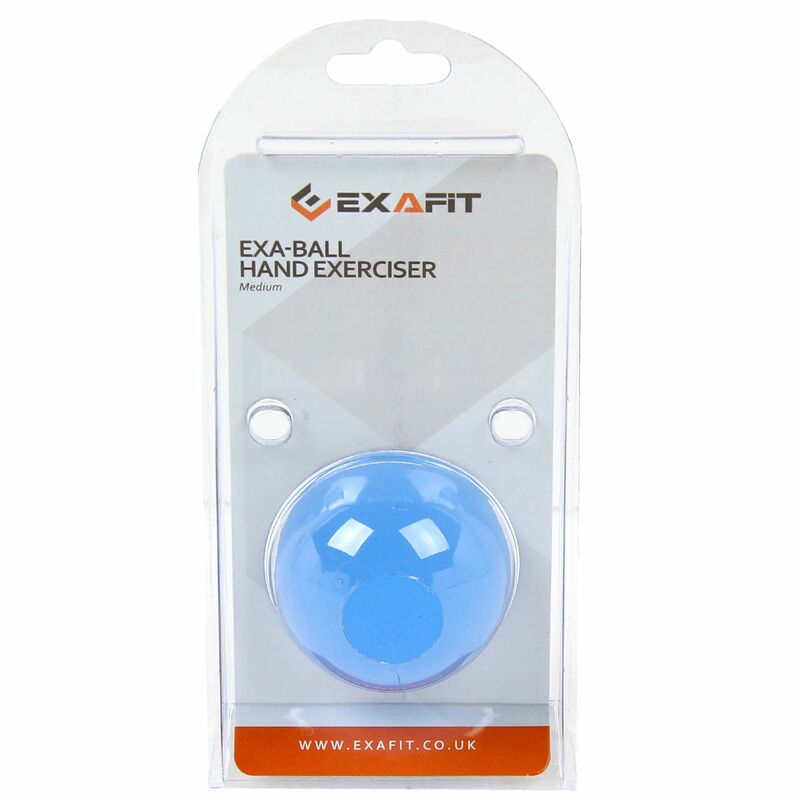 for submitting product review about ExaFit Medium Hand Exerciser.